We know that where organisations reside is important. But do our cities shape our confidence in digital transformation? Telstra, a global leader in telecommunications and technology, partnered with The Economist Intelligence Unit to understand how cities support organisations’ digital ambitions, wherever they are in the world. In total, 2,620 business executives, from 11 industries, in 45 cities around the world were interviewed. 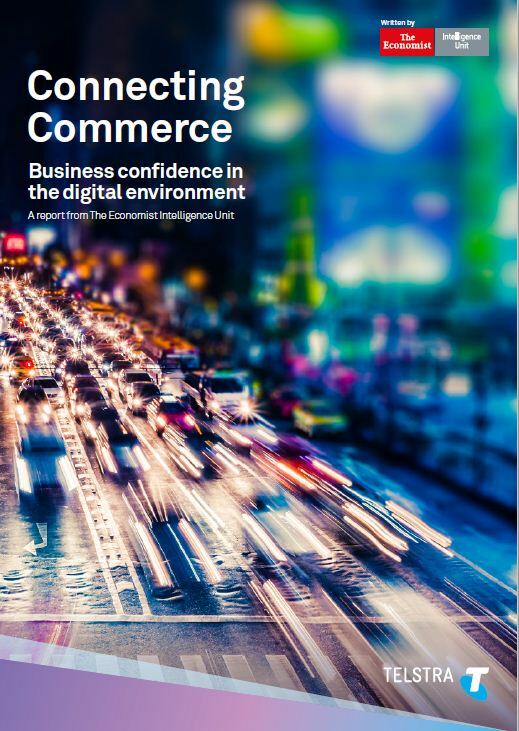 Their responses were aggregated to create the first-ever Digital Cities Barometer Report: “Connecting Commerce: Business Confidence in the Digital Environment”. 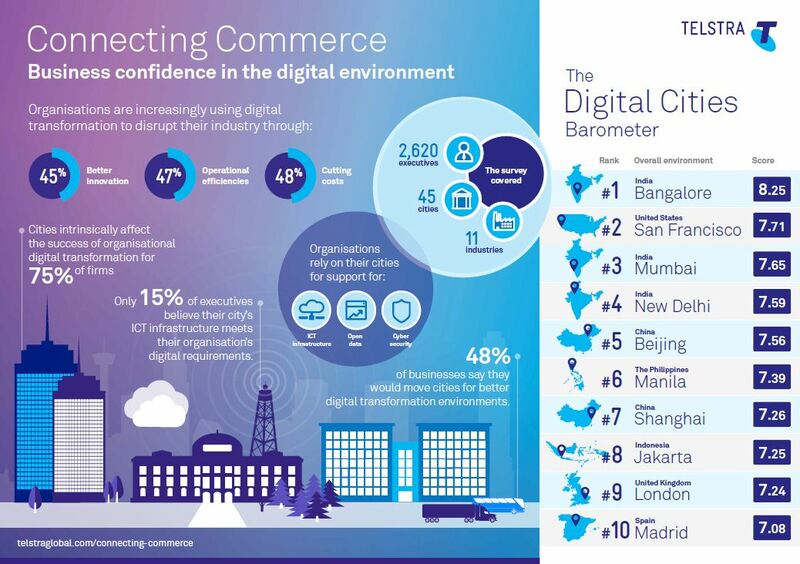 This ranking measures business confidence in the strength of the local environment for digital transformation. 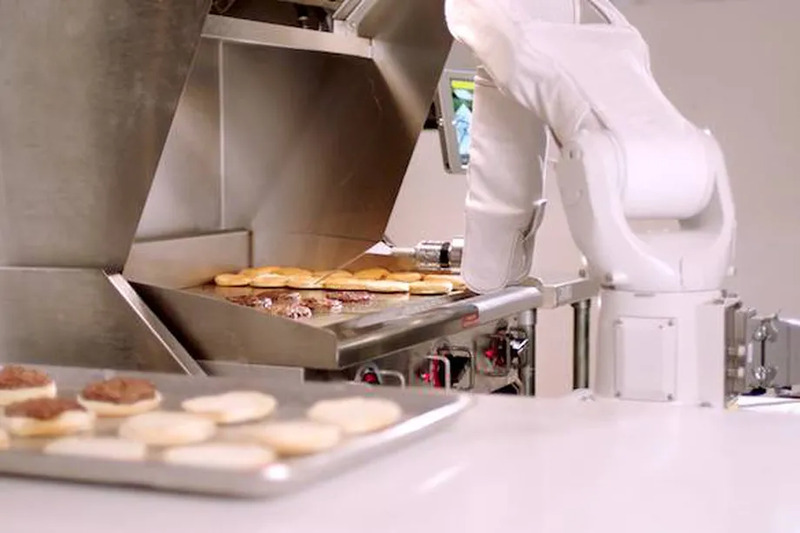 •	What is holding back digital transformation success around the world? •	How does the city you work in affect your digital transformation success? •	What do your global industry peers expect from theur city environment? •	How do cities in emerging economies stack up against their more established peers?